I had been warned of the “Circus,” yet still I was unprepared. A vast lecture hall, students scattered, some of their chats undisturbed by the start of class. I write notes on the board; not a single pen takes the cue. A while into the lesson, the textbook and syllabus — the material for the final exam — turn out to be useless, absurdly aloof from the ineptitude on the ground, compiled by a hack or a sadist. The worst comes last, the part where they break you: pair work and conversation. Most students don’t bother with English, horsing around or staring at the prompt — “What is more important: making money or having free time?” — in a deep and befuddled haze. I walk around to assist; wherever I am not, there is Japanese. Surveying the mess, I understand to be part of a farce. My call for engagement has broken a rule and the student riposte is clear: Do not make us speak. A paper airplane traverses the aisle; existentialist despair engulfs me. Unable to reach out and connect, I have become the man I despise: the pointless professor — a man, according to W.H. Auden, who can talk in someone else’s sleep. There is an aloneness unique to a teacher in front of an unmoved class. And no class more unmoved, some burnouts attest, than teaching English at university in Japan. Near rock bottom of university rankings, the Circus is an extreme, a sign of too many schools being open for business. Nonetheless, based on teacher and student accounts, the disengagement I saw pervades Japanese academia, an aimlessness haunting both students and faculty. The range of levels is wide depending on institutions and individuals, yet the passiveness is cited commonly. As every day the country links more with a global economy, why are so many English courses still not producing effective speakers? More importantly, as society changes and young people must navigate new modes of life, has academia been remiss in assisting the best way it can? Of course, universally, young minds hibernate through curricula, and not everyone likes language requirements. In fact, Lawrence Summers, former president of Harvard University, questioned recently whether the investment of time and effort to learn a second language is always worthwhile, considering that software can now do our translations. A Japanese dean airing such a view would get slammed for “island mentality”! Still, in Japan the issues are deeper, extending beyond English. My students were friendly and often endearing, only most of them, by most standards, should not receive a degree connoting the skill to think deeply, seek out knowledge or express independent thought. Then again, by most standards, perhaps the Circus shouldn’t be called a university (daigaku), so as not to cheapen the brand. Thus, many students go through the motions, their energy focused on sports, part-time jobs and clubs. But to enforce at least some sort of learning, instructors have one last resort — the conditioned response since grade school to electrify the undead: Test them on something, anything! This approach does not stem from ignorance. It was endorsed for years by Japan’s corporate and government forces, and mostly accepted by students and parents. 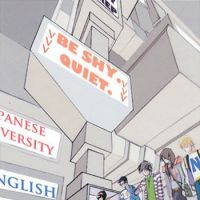 Besides grooming elites in selected schools, there was no national interest to have young people think critically, speak up or dissent, whether in English or Japanese. Passive students became meek employees; simulated schooling became simulated meetings. The apathy of the classroom wasn’t seen as an issue, serving rather as an induction to consensual inefficiency — the learned helplessness of the workplace. Based on this background, it seems almost cruel to send unwitting teachers into a charade of English conversation, equipped with textbook discussion starters such as “Could the Mona Lisa actually be a forgery?” or “Will robots one day rule the world? Please explain.” No wonder some teachers feel stupid, and no wonder they fall back on testing grammar. However, with globalization and raised expectations for graduates, the skills neglected for years are now suddenly in demand. “Global player” is the catchphrase of the day — somehow evoking a he-man with bonus miles — and some faculties are rushing to catch up. “Internationalization is not a desire; it is a requirement,” warn English departments, advertising courses for honing TOEIC (Test of English for International Communication) skills. Many students and teachers are serious. But in the Japanese hall of mirrors that can obscure appearance and impact, it remains to be seen how much genuine global play shall occur. To this day, not many people are sure what communicative competence really means. In the end, Japan may yet coast along just by hiring a bunch of interpreters. For academia, though, the main challenge — and opportunity — may not be keeping up with the globe but with a changing domestic landscape. Back when life and careers were mapped out, it sufficed to just parrot the answers for the test. But as companies cut their training and old certainties slowly fade, so do prescribed ways of thinking, not only about work. A new consciousness has emerged in the wake of the nuclear incidents, with protesters swelling to record numbers and telling authorities to their face, “We don’t trust you.” Exactly this kind of dissent, this awakening of people to their power, is what Japanese schooling has never encouraged. If we are living in interesting times, academia should react and help navigate students through the confusion. Universities are uniquely placed to show young people they have agency in their lives, once they can learn to hear their own voice. Nicolas Gattig is a teacher and writer from San Francisco. He has worked at various universities in the Tokyo area. Send comments on this issue and story ideas to community@japantimes.co.jp .